Gachagua’s brother declares interest in Mathira Parliamentary seat – Kenyatta University TV (KUTV). All Rights Reserved. The late Nyeri Governor, Nderitu Gachagua’s brother, Rigathi Gachagua, has declared interest in the Mathira Constituency Parliamentary seat on a Jubilee Party (JP) ticket. 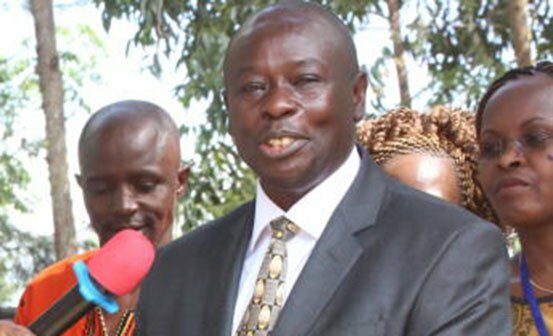 Reports had indicated earlier on that Rigathi Gachagua would contest for the much coveted gubernatorial seat in Nyeri, to succeed his late brother, who died late February while undergoing treatment for pancreatic cancer in London, but he has since cleared the rumors and confirmed that he will go for the Mathira MP position. According to Rigathi, he made the decision after a series of consultations with both the people and leaders from Nyeri County. “The family of the late Gachagua will not support any gubernatorial aspirant before nominations, we will only support a candidate after he has clinched a Jubilee Party ticket,” said Mr Rigathi Gachagua. In December 2016, Rigathi had launched his campaign for Mathira Parliamentary seat, accusing the incumbent, Peter Weru, of not doing enough for the people of Mathira Constituency.